LW Two ice snow crampons 18 teeth stainless steel skiing hiking walking climbing by LW at Kerinci. MPN: 5000102. Hurry! Limited time offer. Offer valid only while supplies last. 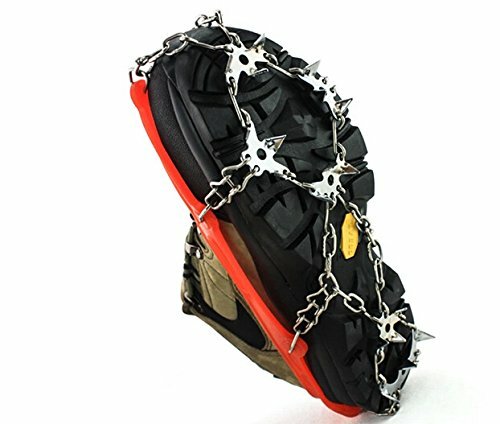 Durable stainless steel spikes and chains provide excellent traction on icy surfaces, prevent skipping during winter activities. Easily fits US shoe sizes 4-11. Perfect for winter activities. If you have any questions about this product by LW, contact us by completing and submitting the form below. If you are looking for a specif part number, please include it with your message.